I goofed. This strange mismatch is completely my fault. A few weeks ago, I swiped all the eggs from beneath the nesting turkey hens. Why? Our turkeys have a terrible track record as parents. They’re dedicated nesters and brooders, and they’ll defend their brood with surprising ferocity. They just can’t seem to raise them to adulthood, though, or pretty much past the first week after hatching. I’ve learned not to leave the nest empty when I rob it, though. That upsets the hens too much. They complain. They mourn. They wander around making sad, sad sounds. It’s disturbing, and it makes me feel kind of guilty. So I make a quick trade, leaving a couple of chicken or duck eggs behind. After a week or so, the turkey hens usually get bored, leave the nest, and rejoin the flock. I toss the abandoned eggs and life goes on. This time I goofed. I robbed what I thought was an abandoned duck nest and used the eggs to trick the turkey hens. I put the eggs in the incubator, and they hatched a week later. Life moved on. For me. For the turkey poults. 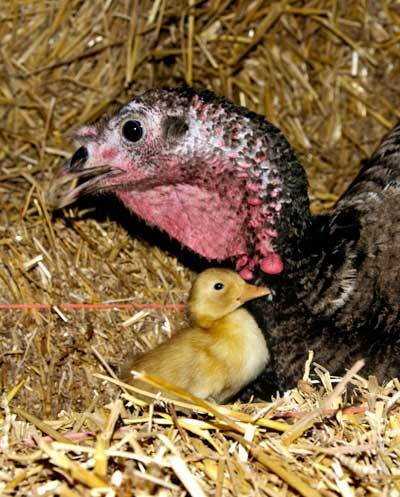 But Mama Turkey stayed on the nest until her dedication was rewarded. With a cute little duckling. We found it with her while it was still wobble-legged, old enough to have dried off but not yet ready to explore the world. That’s a good thing because the nest is in the hayloft. 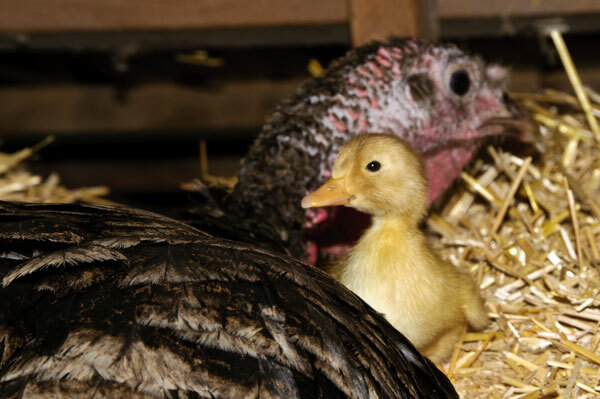 The odds aren’t good for a duckling hatched in a hayloft by a turkey from this flock. For the sake of the duckling’s safety and longevity, we stole it and put it in the brooder with the other ducklings. 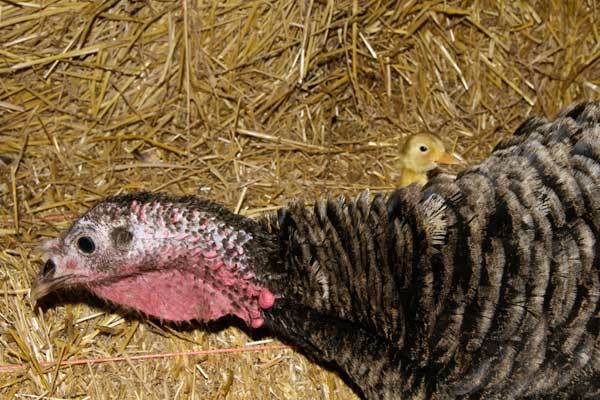 I did NOT give mama turkey another baby. Or another egg. I gave her a rock. She’s still waiting for it to hatch. Is this the plan for the new Pet Rock?